This aqueous calibration standard (order no. 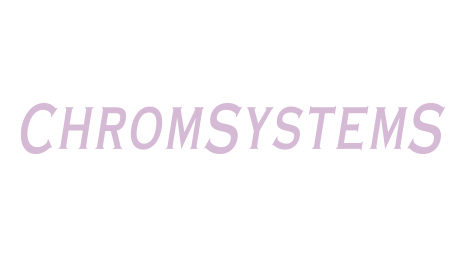 5003) from Chromsystems is injected directly into the HPLC system without sample preparation. While following the instructions the calibrator should be measured in the same manner as a patient specimen. An alternative is the lyophilised calibrator (order no. 5009) that is based on human plasma and should be used according to the instruction manual. Please note: Concentration values shown here are typical. For specific concentration values please refer to the instruction manual. Stored at +2 to +8 °C and unopened, the lyophilised calibrator is stable until the expiry date specified on the vial labels. 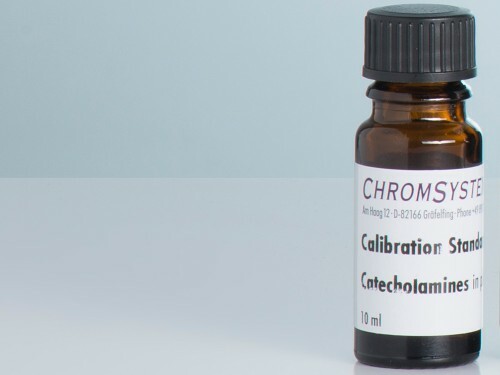 The reconstituted calibrator can be stored up to 2 days tightly capped at +2 to +8 C. If the calibrator cannot be used within this period, it should be aliquoted and stored frozen below -18 °C (up to 2 months). For more details about storage conditions please check your instruction manual.